Sometimes, I don’t really know what to write, but far more often, I don’t know where to start because I have so many ideas in my head and I just want to see the finished product, but getting to that point is overwhelming! That is how I have been feeling about this book I am an trying to write. A couple of years ago (yes… years) I decided I wanted to write, so I asked my dear friend Hannah for a prompt. She responded to me with the following 10 words. From those few words, a whole novel began to form in my mind, and now, it often consumes my thoughts. I have so much mental, and paper, work put into the novel so far… especially for only 14 actually pages typed up. I am ashamed to admit that after two years of work, my novel only has 14 pages written. The entirety of the main plot is written out in my mind, and significant amounts of secondary storylines as well, it has just yet to make it to paper. There are tons of reasons and excuses for why such little product exist, I mean I am very busy and generally function in a state of overbooked. I want to run away for a month, or even a week, and just work on my book. Forgo technology, with the exception of my laptop (for typing purposes), loaded with a dictionary, thesaurus, Romanian-English dictionary (the book is set in Eastern Europe) and pictures from trips to Romania I have taken, and write. And write. And write. That’s just not possible, not for me, not in my life right now. Maybe after Belgium, but not right now. But I am trying to take 10-15 minutes a day to just put something on paper for it. Add even just one line of dialogue or one description, one plot point, or one conflict. Here is a description of my book, a teaser (?) if you will. Let me know what you think. Despite losing her mother and father in the Raze, the failed attempt at independence ten years ago, Miriam’s life is everything that she expected it to be, and things are going exactly as they should. Until the government of Timis begins to hear whispers of a new revolution, and concludes that those of Faith are the points spearheading this new revolt. In an attempt to suppress this pending revolt, the government imposes rigid sanctions and restrictions of gathering and movements of Church. Can Miriam, her remaining family and the Faithful adapt and fortify themselves enough to survive in the coming storm? Is Miriam’s faith strong enough to bear hope despite suffering, persecution and the horrors of this reality? Is it enough? I have not been at this blog writing very long, and I do take long absence from time to time, mostly because my schedule is demanding, and free time is limited and cherished. However, I wanted to take sometime to share with you all something that I am very passionate about and something that I love. Belgium, and the wonderful people that I have met there. I will be spending 3 months in Belgium this upcoming spring and I am beyond excited for this unique and special opportunity. I will be coming alongside my friends that are already there teaching English Classes, as well as working with a local church and helping wherever needed there. I am also hoping to work with the Youth Group there, which is ultimately my passion. I love working with Youth, in Belgium and at home, so that will be just wonderful. 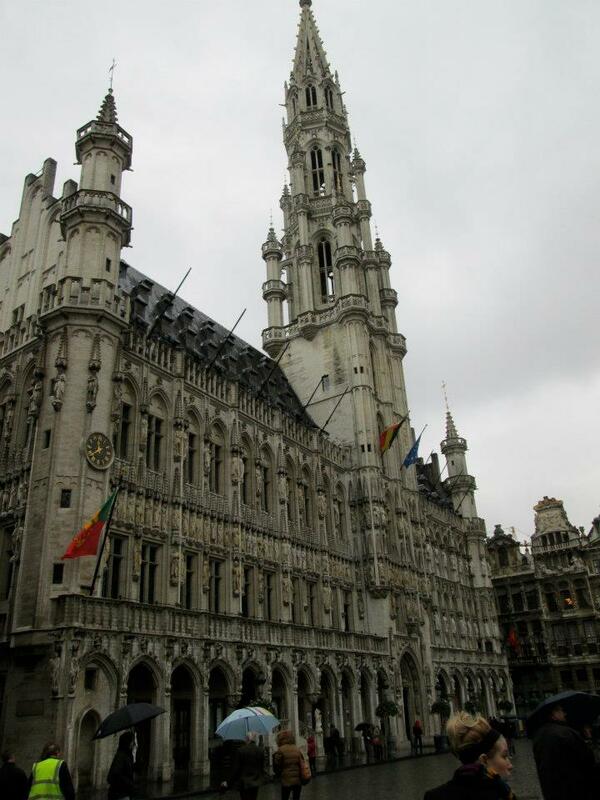 This will be my fourth trip to Belgium, but my longest stay yet. My first two trips were just shy of two weeks, my third trip was a little over two weeks, and now this trip will be 3 months. I have made some dear friends, some which I have been able to keep up with due to the marvels of modern technology (Viber and Skype are amazing), that cannot wait to see again and I look forwards to having the privilege of spending a longer and more intentional time with them. So why am I telling you, my blogging audience about this? One, because this is why I blog, to vent, ramble and spew about the things I love, and two, because I am in need of help. I need prayer to help make this trip successful and effective, more then anything. So be lifting this journey up in prayer and me as well. But also, this is an expensive venture and I will need financial help to make this a reality. Below I have provided a way that you can help, if you so desire. There is more information about my trip and my plans while I am there on this website, so please feel free to read up, and give if you can. Any amount is a blessing and I thank you for your prayers and your gifts. Thank you so much for however you are able to support me and I’ll keep you updated as thing progress. I plan on blogging much more regularly while I am in Belgium, with slightly more free time than I currently have. Today has been quite a weird day. Work went well, both Barista-ing and counseling. Then I had to go back to the coffee shop from which I employed to get up for the holiday launch. I have been thinking a lot about my friends in Belgium these past few days, and there was someone there that looked very similar to a dear friend in Belgium and it made me miss being there and being with my friends. Missing my friends like this always puts me into a strange, nostalgic type of mood. 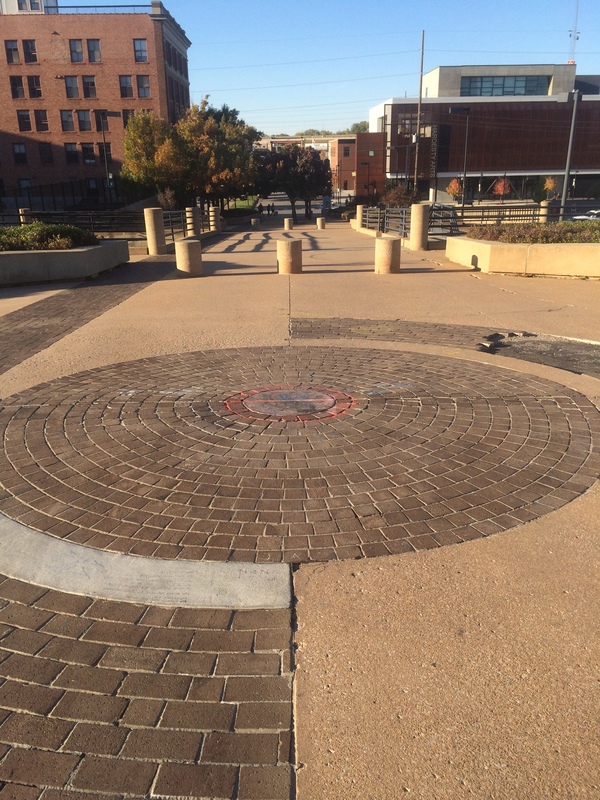 It’s kind of a mix of sad, lonely, longing, fear, and fondness…. but not fully anyone of those. A strange hybrid of all. That’s why is been so weird… because I can never put my finger of how I feel… just weird. That then lead to think about other friends that I miss, and my thoughts drifted to a dear friend I spent a lot of time with in Washington DC when I lived there years ago. I then thought about this poem I had written him back then (even though I am not quite sure I ever gave it to him). Here it is. And your demons won’t give you peace. Your only thoughts dwell on relief. In something that might not be real. The light begins to glow. That there may be something more. With true love invading your soul. And your demons run in fear. Praise be to him who death had no hold. My friend had suffered a great deal from life, and sometimes it make it angry and caused him to struggle with his new found faith. This was meant to encourage him, remind him of the Gospel and foster hope. It’s like the old proverb says “The night is always darkest before the dawn”. Life is hard (see previous… and lets be honest, future, post), but there is hope. Work this morning was, well… mamma always said there’d be days like these. Things were broken, I was making drinks in a small pond and then then inevitable happened… I decided to meet the floor where it was and fall quickly towards it. Then things continued to be busy and everyone wanted some of our delicious coffee and just to wrap up the work day, I got propositioned by a customer, but in the most inappropriate manner possible. Why? However, things improved greatly after work. 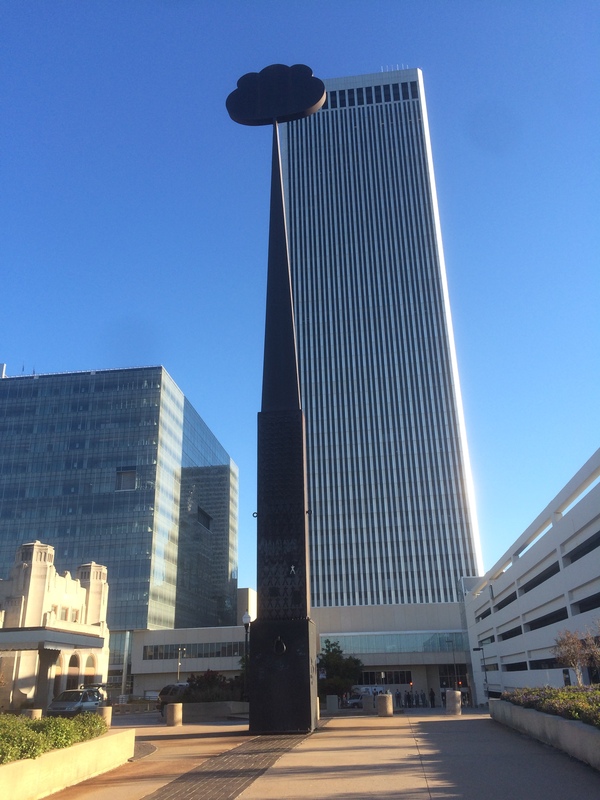 I had the privilege to take an evening trip up to Tulsa with a dear friend and co-worker. This is one of the first times we were able to spend extended time together and it was well worth it. As we journeyed to the Center of the Universe (which is in Tulsa, OK – if you didn’t know – See Above) my sweet friends and I’s conversation shifted to different aspects of our faith and how we, and those close to us, have struggled with our faith. This conversation continued over dinner, at Kilkenny’s, a brilliant Irish Pub and over the most delicious coffee I have ever had to the Starbucks in Utica Square. 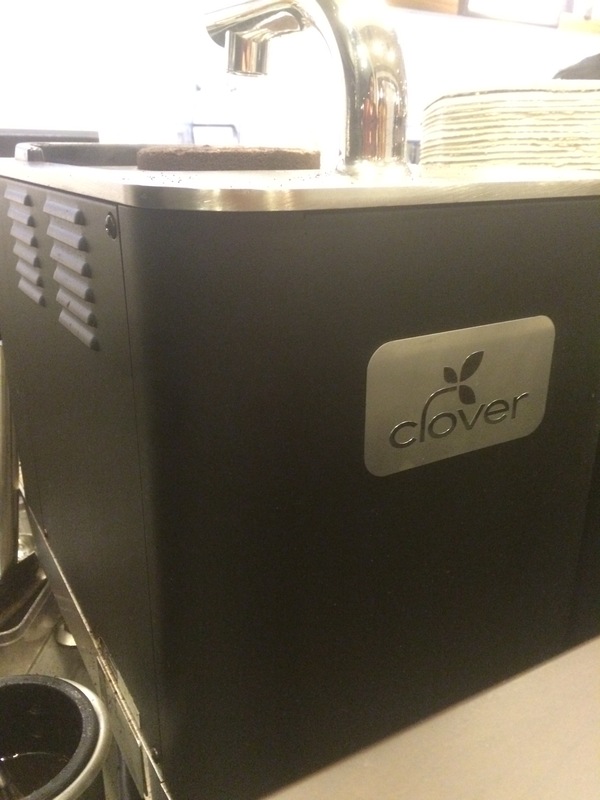 They have a Clover machine… which if you do not know, you must not love coffee (just kidding, but its legit). It a special way of brewing coffee that uses a unique vacuum-press system that brews ground coffees one cup at a time in sweet perfection. Seriously… the best cup of coffee I have ever had. Then we journeyed on home to the sounds of Carbon Leaf and Noah Gundersen. Our conversation sparked a few interesting thoughts for me about the way we teach faith to children and the Truths we teach. We discussed how we want so badly for children to believe the Truths of the Bible and be rooted in the Word that sometimes over emphasize the benefits of Faith and fail to warn of the struggles and trials. The American church’s education of trails and suffering leaves sometimes to be desired and it seems that this is causing the many in the current generation to have a crisis of faith. Wait… What? The World is going to hate us? When I meet trials? Fiery trials? Persecution? We must come to realize that this life is hard. There is sin in this world, evil and our own human desires that corrupt the world around us, and an enemy that prowls like a lion looking for any opportunity to destroy community and cease the spread of the Gospel. DON’T LET HIM. Ephesians 2 tells us we were once slaves to the enemy, but GOD – now we are free. Don’t willingly submit yourself back to the enemy (I digress, but this will be hit later on… do not fear! But for now… Look to verse like Galatians 5:1, 13; Psalms 119:45; 1 Peter 2:16). Suffering is a part of the Christian life. I do not know where we got this idea that it wasn’t. Christ suffered. All of the disciples suffered and all but one was murder for their faith. Everyday we have brothers and sisters world wide that are imprisoned, beaten, burned, abandoned and murdered for their belief in God. Suffering for your faith is real, for all Christians who are proclaiming Christ in their lives and attempting to spread the Gospel in their spheres of influence. We must be prepared for this, because we should be equipped by scripture to stand firm, stand strong and persevere. Stand Firm! Persevere! The Lord, the Creator, is with you! Lean onto the author and perfecter of your faith. #3: Having faith can be a struggle, but struggling with your faith doesn’t mean you don’t have it. Being a Christian can be hard. Things will be unfair at times. Bad things and evil will happen in believers lives. It is OK to ask God “why?” It is perfectly acceptable to be unsure of scripture and ask questions that may seem “dumb” or “silly”. THIS IS HOW WE GROW AND MATURE. We have this horrific pattern within American church culture of “shaming” when people are questioning their faith, struggling with truth or are just unsure about what they believe. This must end! This is part of the Christian life by seeking the Lord and seeking Truth. How are we to determine what is true if we do not wrestle with Truth. There are numerous aspects of the Bible that are difficult to understand or deal with because they are so counter-culture and opposed to our own nature. It takes time for us to fully understand and accept all things. Faith is a process… its requires work and attention. Philippians 2:12 reminds us that we are to “work out your own salvation with fear and trembling”. This is not to be terrified of God, but rather to be diligent to seek out Truth because it is of vital importance. If we claim to believe the Bible, we better know what it says and believe what it says. At times this is difficult and it takes us sometime to struggle through it and determine what scripture is say and deal with how this conflicts with what we feel, what we have been taught and how we interact with our world. For those who grew up in the Church, this is a highly important time for them to stop simply believing what they have been taught their whole life, and take ownership and responsibility for their Faith. Make it there own, for lack of a better phrase. I tell this to my 8th grade girls I teach on Sunday mornings. This is their time to ask questions, seek truth and own their faith. You do not automatically have a relationship with Christ because your mother/father/brother/sister/grandma/neighbor/best friend does. Just because you come to church every Sunday/Wednesday/Thursday does not mean you are a Christian. You have a relationship with Christ because HE chose you, and you responded and you chose to deliberately seek knowledge of Him, spend time in prayer and studying His Work, serving Him and seeking His Kingdom, not your own. Those with a true relationship with Christ decide everyday to “die to self” and chose God’s kingdom, not their own desires and will. THIS IS NOT EASY AND THE PROCESS IS HARD, but OH how it is worth it. Therefore, do not be ashamed if you are struggling with your faith. You are still involved with your faith. You have not abandoned it and you are seeking Truth. James 1:5 says that if you lack wisdom to ask the Lord for more and he will give it. So ask Him to reveal himself. Ask Him to deepen your faith! Ask Him to help you understand. He will not be angry or upset with you for this. Do not be ashamed by this. 1 Peter 4:16 says “Yet if anyone suffers as a Christian, let him not be ashamed, but let him glorify God in that name”. Allow your suffering and struggles to be ultimately glorifying to the Lord. Finally, be encouraged if you are struggling to seek truth and battling with faith, that any inclination towards God is not of our own. This is from God, because Romans 3:10 states the “none is righteous, no, not one; no one understands; no one seeks for God.” If you are seeking for God, that is a God given desire. Cherish it. Endure (But if when you do good and suffer for it you endure, this is a gracious things in the sight of God. – 1 Peter 2:20). Grow in Love and Christ! Get E-Mail updates when I add a new post! I just wanted to take a second to say Thank You! 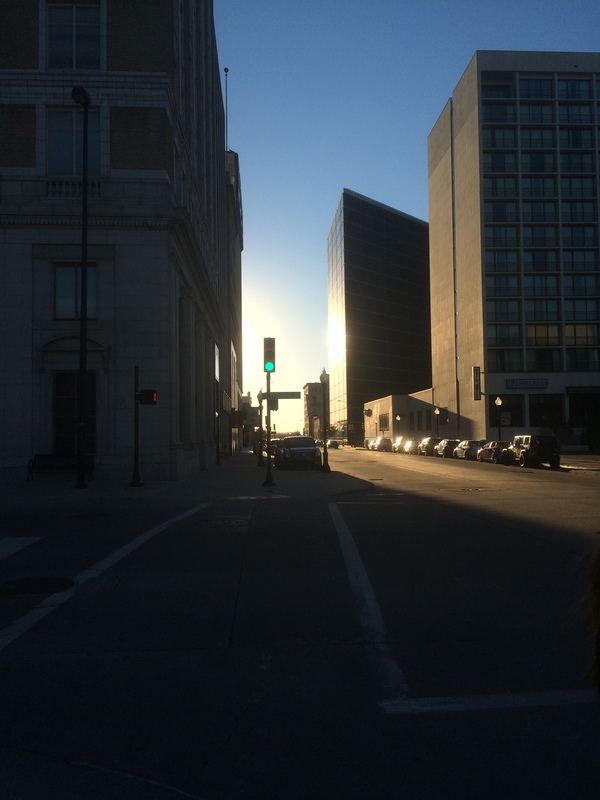 You did not have to take precious time out of your schedule to read this blog, but you did. Talking about my life, things I love, things I don't love, and everything in between.